How is it that I am almost 34 years old and have never blown an egg before? Well, there’s a first time for everything I suppose, and with this activity, we learned a lot! 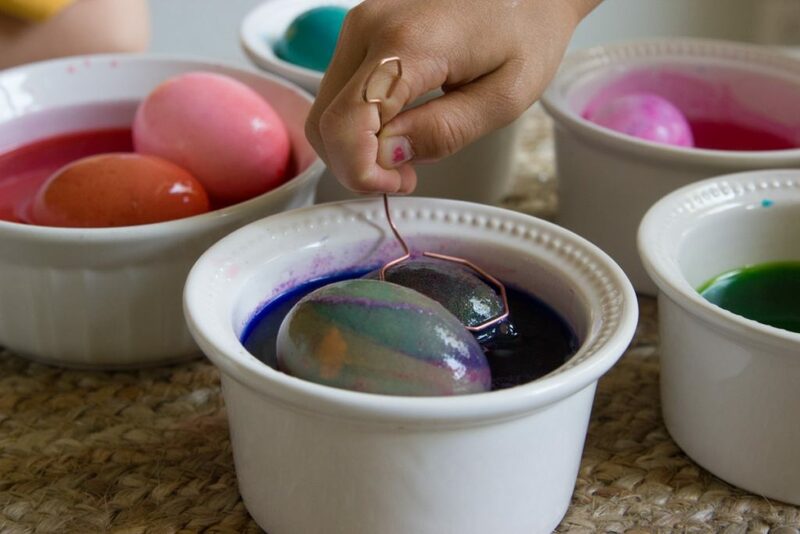 We love decorating Easter eggs, but if you hard boil them, the fun is short lived. It’s a shame that they only last a few hours before they start rotting away. 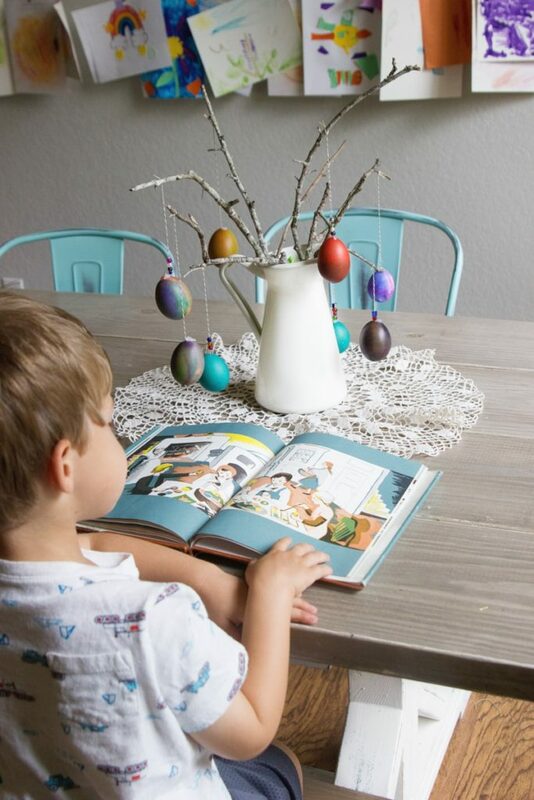 This year, we have the added fun of having our very own chicken to lay eggs for us so we definitely wanted to enjoy them all season long. We have enjoyed the sweet book The Egg Tree as part of our spring morning time. 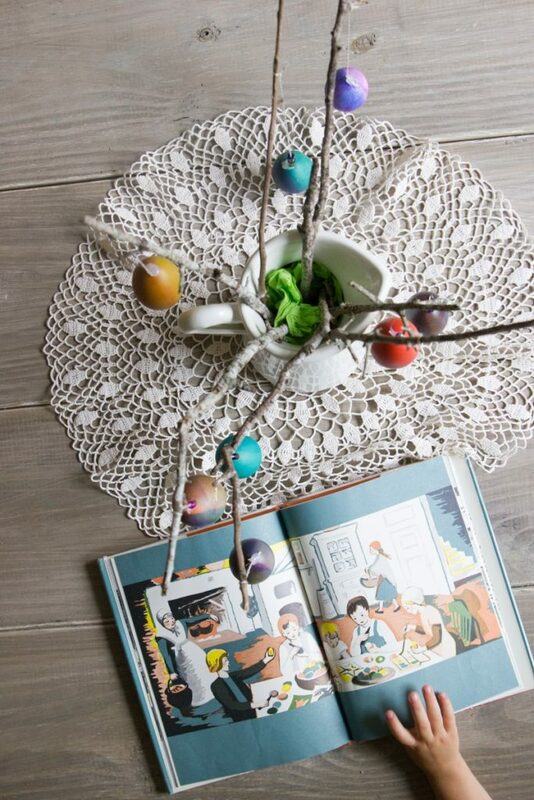 In the book, a family blows out eggs and turns them into ornaments to decorate a tree. 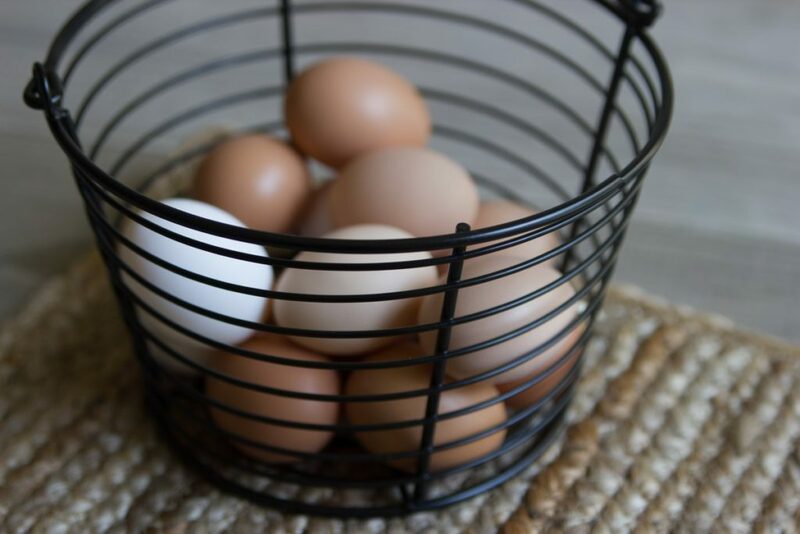 Blown out eggs are an awesome alternative to traditional hard-boiled eggs because you can enjoy them year after year. We thought this would be great fun, but I had no clue how to actually do it. I turned to YouTube and found this hilarious video that gave me the basic idea of how to do it (and what not to do!). 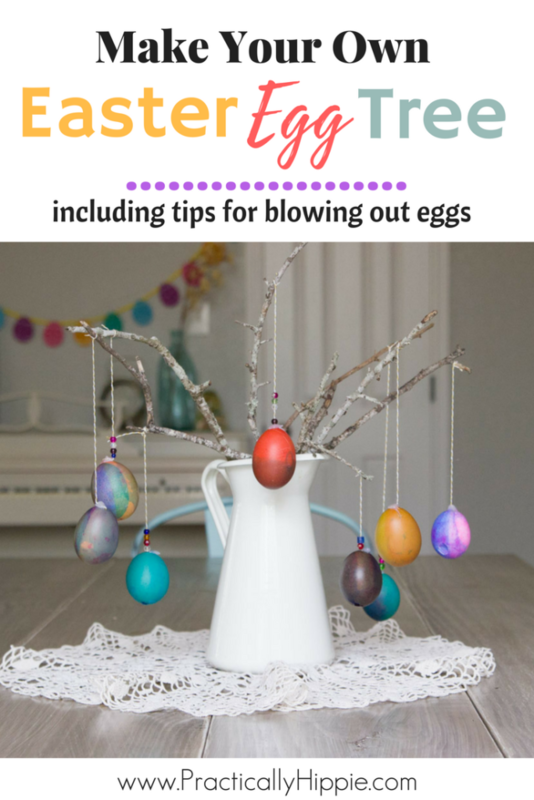 After scouring the internet, I realized that there are so many methods and ways to blow an egg. We tried several ways, and want to share what worked best for us. After a demonstration, my 6 year old was able to do this project largely on her own. You’ll see that they aren’t perfect as the holes were a little larger than I would have done. But we loved doing this activity together, and I am always happy to let her lead the way when she feels confident in doing so. Place your egg on something stable. We put the egg in an otherwise empty egg carton, but you could put it on a napkin or folded paper towel just to keep it from rolling away. 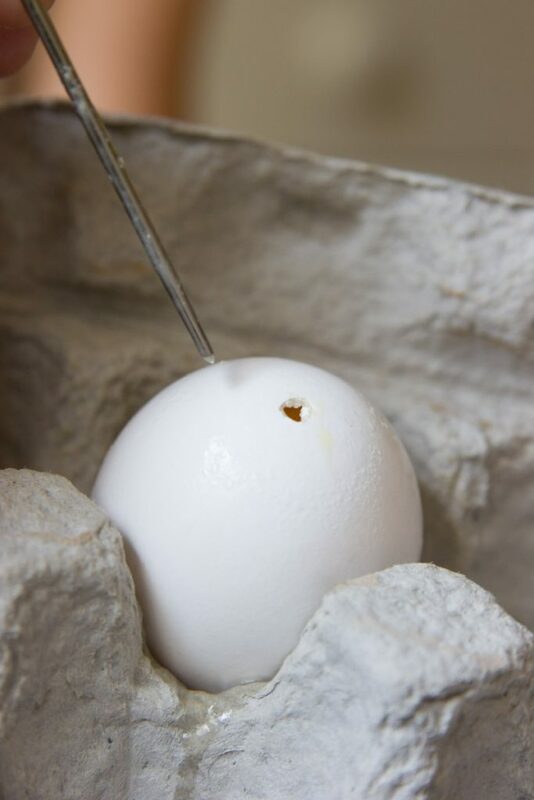 Use the push pin to pierce a hole at the top of the egg. We tried a variety of options for piercing the egg including the popular safety pin and nail. The push pin was by far the easiest. The collar of the push pin provides a natural barrier to breaking the egg with too much force. Next year, we might try this handy tool. Use the weaving needle to make the hole slightly larger. 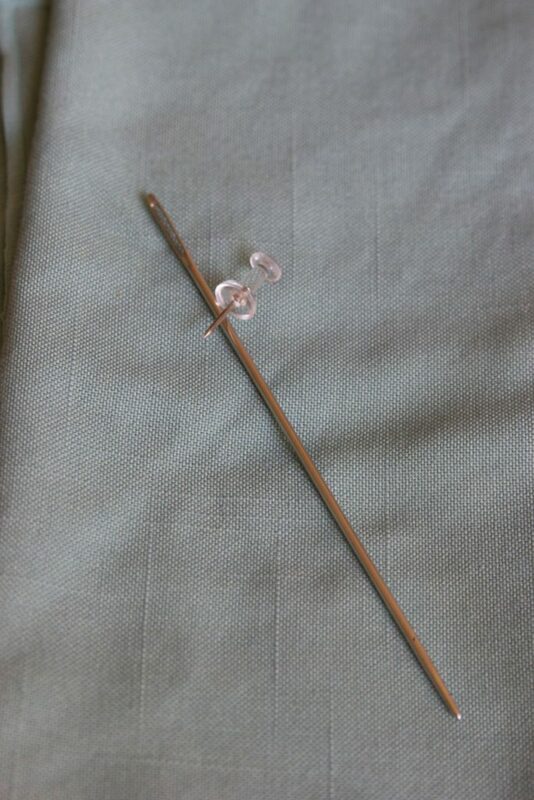 The sharp end of the weaving or tapestry needle fits perfectly through the push pin tole, but the body of the needle is a bit wider which creates the perfect sized hole. I like using the longer weaving needle because it was the perfect size to gently stir up the inside of the egg to break up the yolk. A tapestry needle or even a toothpick would work too. You would just need to make sure you broke up the yoke well from both ends since it is shorter. 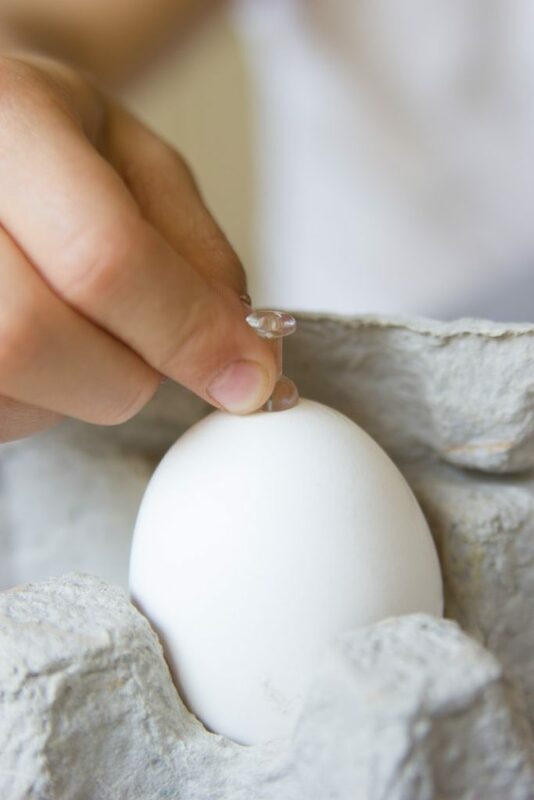 Turn the egg over, and use the push pin to make another hole on the bottom of the egg. 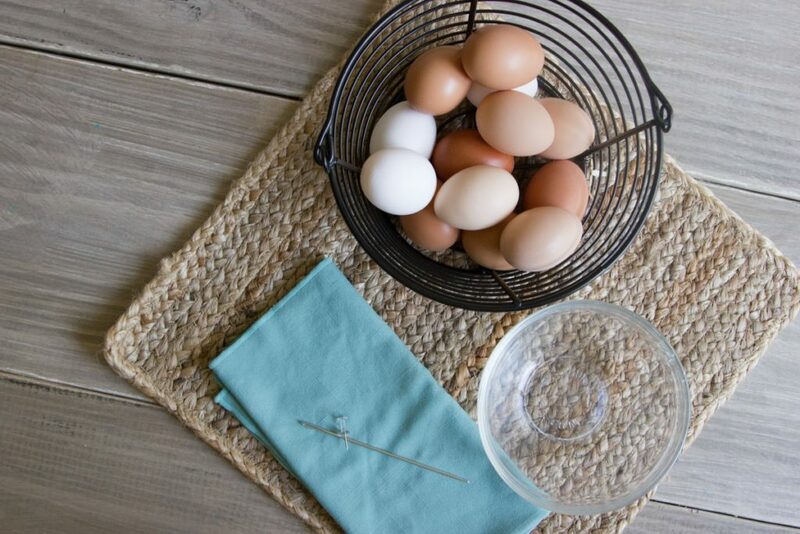 Some of the egg might start to leak out of your top hole, so make sure your towel or egg carton is in place. Use the weaving needle to make the bottom hole slightly larger. This second hole should be a bit bigger than the first hole on the top. 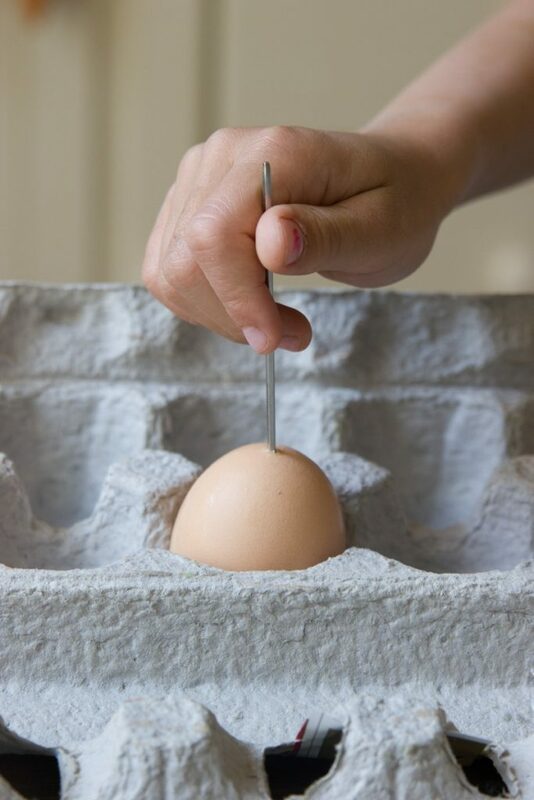 Use the needle to gently stir up the inside again to break up any remaining yolk. 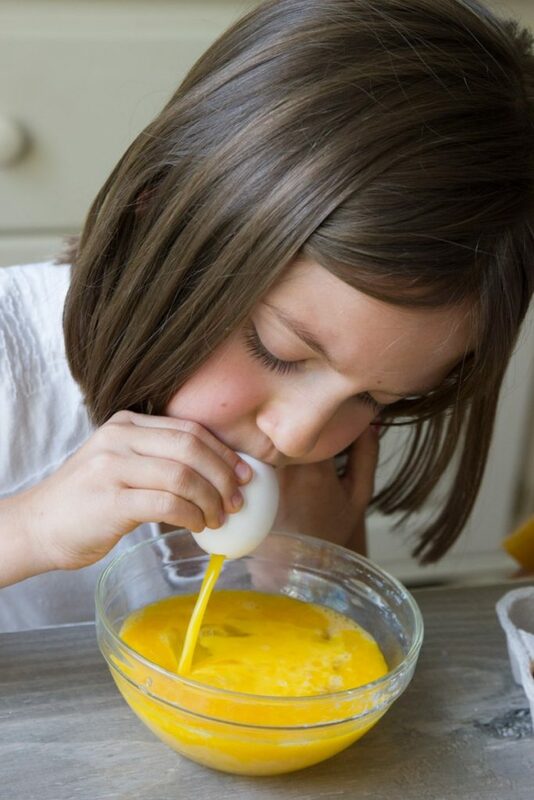 Use a wide straw or your mouth to blow through the larger hole on the bottom of the egg. Aim the smaller hole down into the bowl to let gravity assist in getting the egg whites and yolk out. We weren’t able to get a great seal with the straw and ended up using our mouths. It takes some effort and you do need to be careful not to breathe in the raw egg. 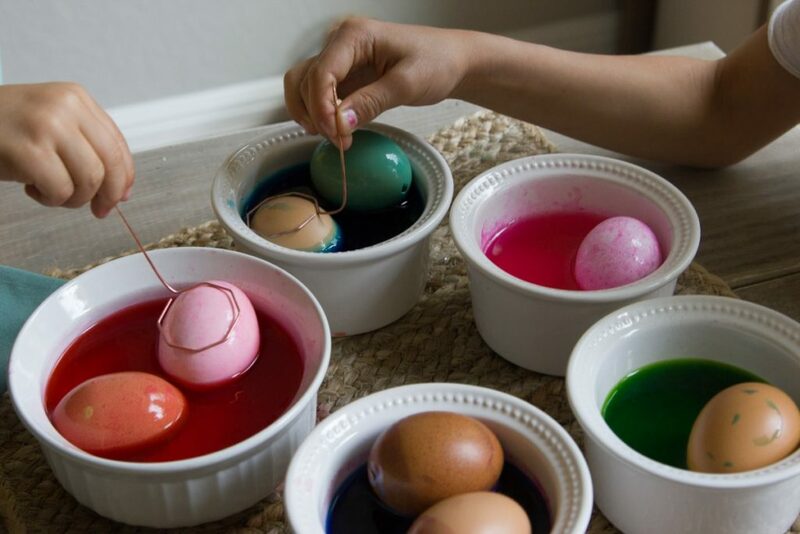 Wash the blown eggs with warm soapy water. Air dry, and then enjoy! 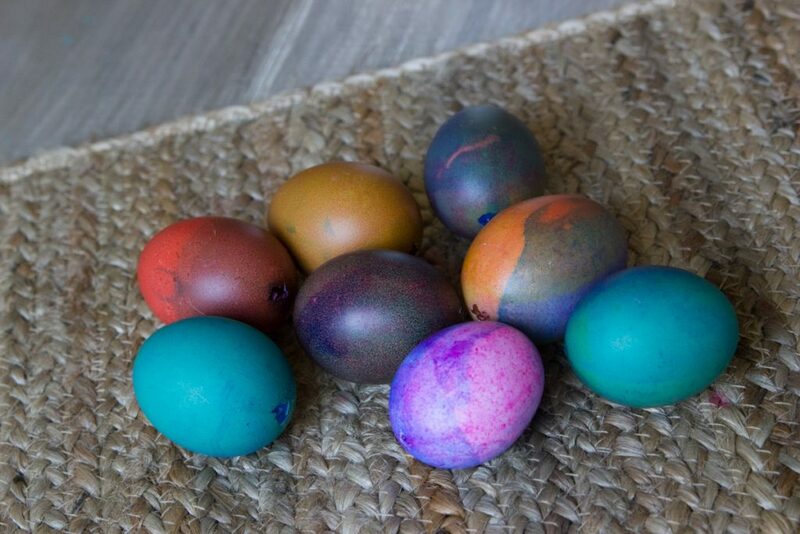 We dyed our eggs with a traditional dye kit, but we used a kit designed for brown eggs. The tones in this kit are beautiful! 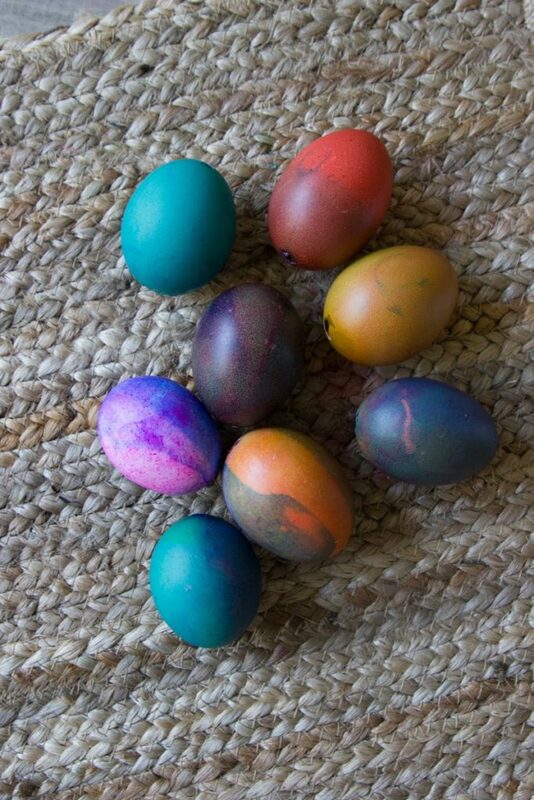 My 3 year old and 6 year old loved designing their eggs, and watching the patterns and colors change every time they dipped the egg. 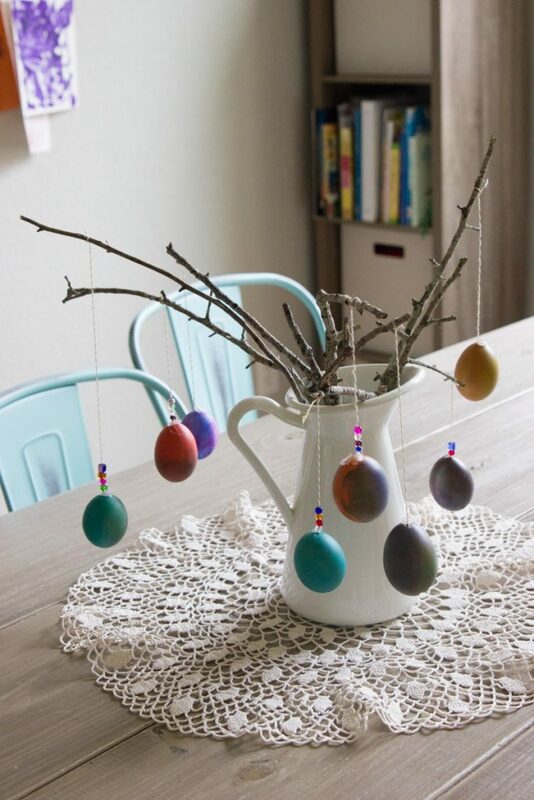 We wanted to hang our eggs on our egg tree, but I didn’t quite have the patience for some of the ingenious methods I found for egg hanging. 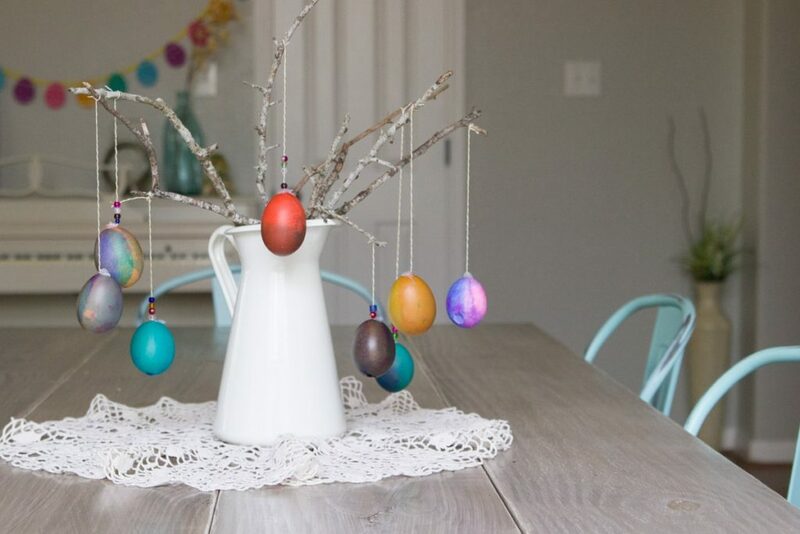 We went simple here and just used hot glue to attach the string to the egg. Then we added some beads to the string for flair and tied the string to some sticks collected from our yard. And now we have our own egg tree! I’m loving how it turned out. I’m thankful for the chickens who blessed us with these eggs and my little ones for always diving into new adventures with me. Happy Easter! 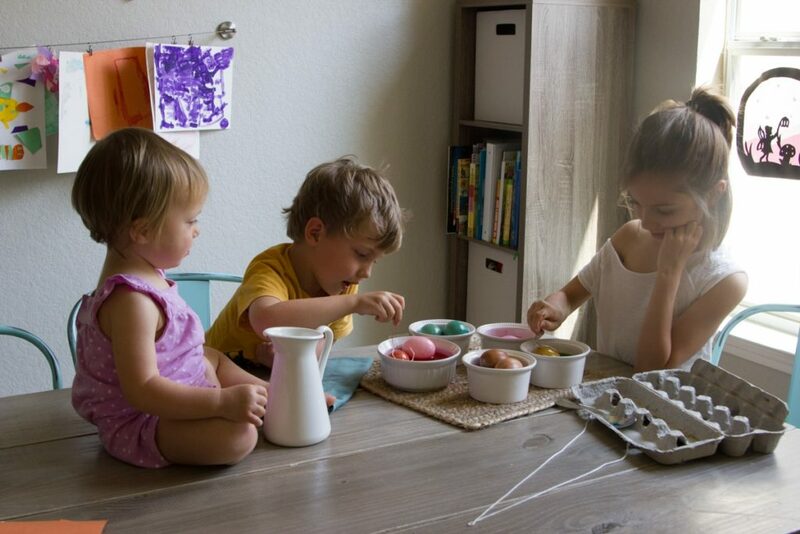 This project was fun, and the eggs look great. Thanks for a great blog post and clear instructions. Love your eggs! Glad you gave it a try!